…If you’re in Connecticut and your thinking selling a house without a realtor… Read on. We have some great tips and resources below to help you sell your home without a realtor. 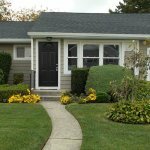 A little bit about us.. We are professional house buyers in Connecticut and we use our own money to purchase homes. We don’t rely on realtors or banks. We love realtors and use them all the time to sell our properties that we fix up. In some situations listing with an agent is not always the best option for a seller. Here’s How Our Process For Buying Houses Works It’s Pretty Simple..
We Buy Houses As-Is in any condition no need to fix anything, ugly or pretty. Regardless of what you OWE or your situation… We Can Help! We can buy your Connecticut Home Fast. Contact us! Whatever your situation Selling Your Home Without A Realtor In Connecticut is simple… we’ll make an all cash offer so you can sell your home fast. Just submit your property address to the right and we’ll get back to you within 24 hours with a fair all cash offer. “Selling My House Without A Realtor” can be a simple process. Learn more about our company and how we may be able to help you. If you are looking to sell your home by yourself check out this great article or you can also visit the link below to see how other people are listing there houses with FSBO (For Sale By Owner). ForSaleByOwner.com… Here is the link https://www.forsalebyowner.com/ with with other great resources. What is the value of my Connecticut house in the current condition it’s in. Do i have time to show my home to multiple buyers and deal with buyers agents. Can i do the marketing and advertising. Will i be able to make any repairs needed if and when i get an offer. Who will do the paperwork to close once i find a buyer. In today’s market it’s essential to price your home right otherwise your home will get lost with all the other expired listings on for sale by owner sites. I have seen realtors price houses to high just to get the listing and please the seller only to have the house become an expired listing. 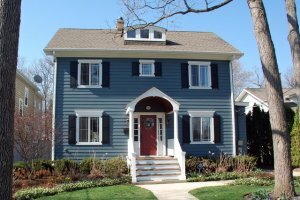 Zillow has some pretty accurate data on most of the houses in the country and you can use one of there resources here to help you get an accurate value for your home. You can also put your self in the sellers shoes and do some research on homes for sale in your neighbor hood. You are looking for 3 sold comps preferably within a short distance from your house in the last 6 months. You will have to be prepared to either be home when a buyers agent calls looking to set up a showing or leave a lock box so they can have access any time. For most people the lock box can be an issue which i understand. Your best bet is to try and set up all of the showings on the weekends. If you do happen to find yourself selling your house to another buyer than that’s great otherwise you have to be prepared to share the commission with the buyers agent. Typically 6% so 3% to you and 3% to the buyers agent. If you do find a buyer one key question to ask is for the pre-approval letter from there funding source. This will ensure only serious buyers want your property. Most of your advertising can be done through one of the online listing services like for sale by owner.com. Some other marketing tips you can use include listing your house on craigslist and social media like Facebook. For a few hundred bucks there are companies out there that can list your house on the MLS for you. A for sale sign in your front yard is huge you would be surprised how effective that sign will work. If your house is close to the road put some more For Sale By Owner signs in the windows. At this point you may have a buyer and if your handy or have a handyman who can make repairs this can be your best option to please the seller. If you have multiple offers great you have a little more negotiating power. In some cases time may tight and you need to sell your house fast so maybe giving the buyer back a credit for the repairs can speed up the process. I have seen so many buyers get a credit back and never do any of the repairs they requested so use your best judgement when accepting a buyers requests for money back. If you made it this far your almost there. At this point your buyer has done there due diligence and had there home inspection. I would recommend hiring a real estate attorney to do your closing for you. This way you are assured the closing will go smooth and if there are any problems with the paperwork your attorney can hopefully resolve any issues quickly. If your looking to sell your property now in Connecticut We would love to give you an all CASH OFFER.